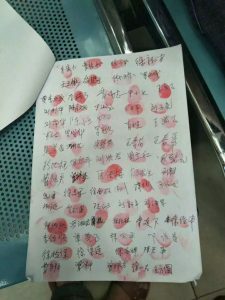 Translator’s note: In late 2017, a group of Hunanese migrant workers working in Shenzhen’s drilling and blasting industry discovered dozens among them had developed silicosis, a deadly, incurable lung disease caused by inhaling large amounts of dust. Many of these workers have worked ten or twenty plus years in unsafe conditions, blasting into rock surfaces beneath Shenzhen to build the modern metropolis we see now. 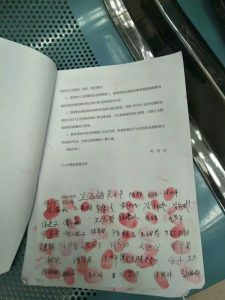 Faced with a disease that they know will kill them and leave behind heavy medical bills for their families, workers began to flock to Shenzhen to demand the compensation which would be due to them if they had proper labor contracts, but which they are unable to access by regular channels due to the informal state of labor relations in the construction industry. We are Hunan workers who conducted pneumatic drilling and blasting work on Shenzhen construction sites. 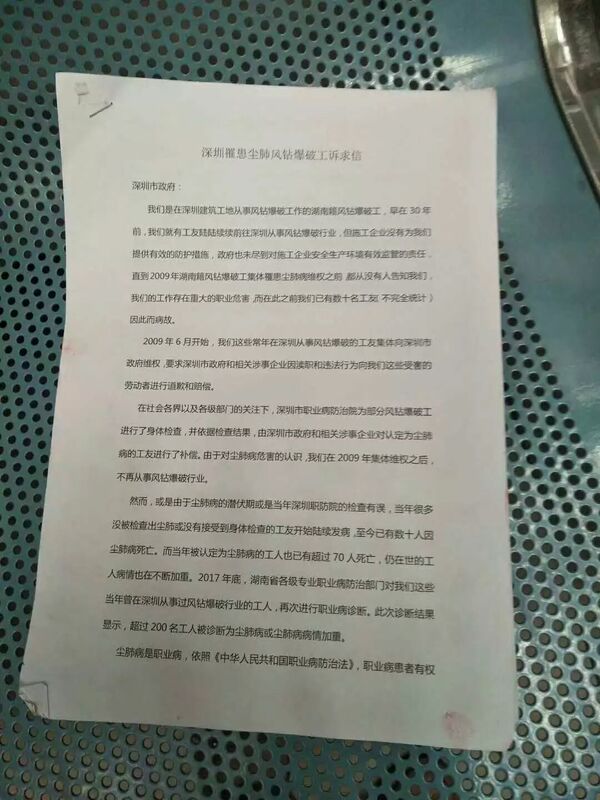 Thirty years ago, we began one after the other coming out to Shenzhen to work in the drilling and blasting industry, but the construction companies did not provide us with effective protective measures, and the government did not fulfil its responsibility to effectively regulate the construction companies’ work safety conditions. 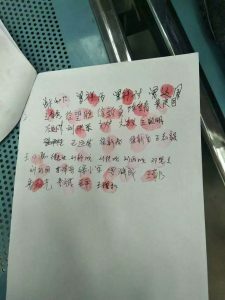 Until 2009, when Hunan drilling and blasting workers who had developed silicosis fought for their rights, no one had informed us of the severe occupational hazards of our job. Before this, dozens of our co-workers (incomplete tally) had already died of their illnesses. 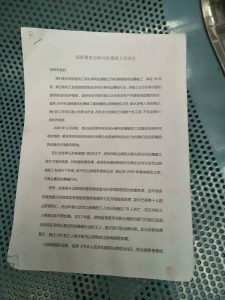 Beginning in June 2009, those of us who had worked year after year in drilling and blasting in Shenzhen collectively demanded our rights from the Shenzhen government, demanding that the Shenzhen government and relevant companies apologize and provide compensation to afflicted workers for their misconduct and illegal practices. Due to the concern from various sectors of society and levels of government, Shenzhen’s Occupational Disease Prevention and Control Institute provided a portion of workers with physical exams, and on the basis of exam results, the Shenzhen government and relevant companies compensated workers diagnosed with silicosis. Because we came to understand the dangers of silicosis, after our 2009 collective rights defense, we ceased to work in the drilling and blasting industry. Subsequently, perhaps because of silicosis’ long incubation period, or perhaps because of errors in the Occupational Disease Prevention and Control Institute’s exams, workers who in 2009 had not been diagnosed with silicosis or had not been given examinations began one after the other falling sick. By today, dozens of us have died of silicosis. Of those who were diagnosed in 2009, over 70 have died, and the illnesses of those who remain alive grow continuously more severe. 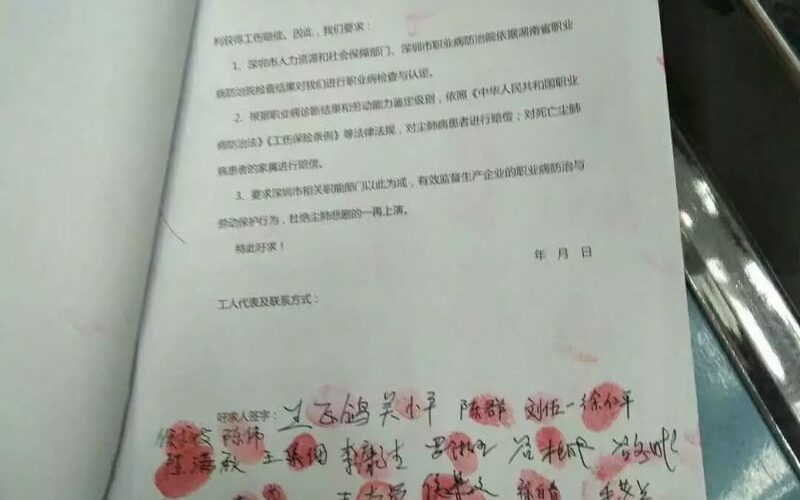 In late 2017, various levels of Hunan’s professional occupational disease prevention and control department re-examined those workers who had worked in Shenzhen’s drilling and blasting industry. In this round of examinations, over 200 workers were diagnosed with silicosis or discovered their illness had increased in severity. 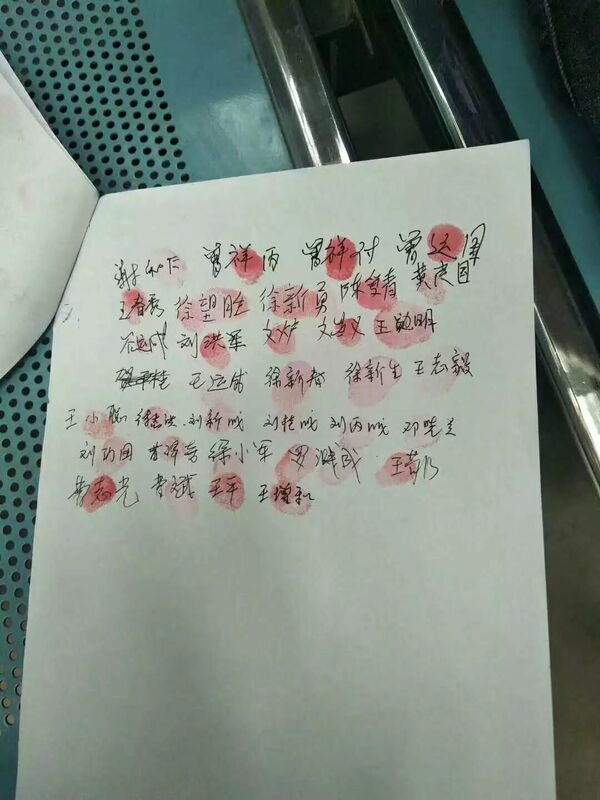 Shenzhen’s Human Resources and Social Security Department, and the Shenzhen Occupational Disease Prevention and Control Institute provide us with occupational disease examinations and confirmation according to the Hunan Occupational Disease Prevention and Control Institute’s exam results. According to the level of workers’ occupation disease diagnosis and work ability appraisal, according to the regulations of the Law of the People’s Republic of China on the Prevention and Control of Occupational Diseases, Work Injury Insurance Regulations, and other relevant laws, provide workers with compensation; provide the families of deceased workers with compensation. The relevant departments take this case as a lesson, and effectively regulate companies’ occupational disease prevention and control and labor protection measures to prevent the re-enactment of silicosis’ tragedy.